In recognition of Valentine’s Day tomorrow, we thought it would be fitting to discuss a clever new way for landlords and property managers to show their tenants some love. A relatively new trend in the rental industry is the introduction of tenant reward and perk programs, whereby accommodation providers offer discounts, incentives, and prizes to their tenants. Tenant satisfaction and retention are two central aspects of maintaining a successful rental housing business, which makes these reward programs an excellent way to help keep tenants happy. Tenant retention is a particularly tricky issue in student housing, as the average turnover rate is about 50% per year, according to Centurion Apartments. So what are some examples of these tenant reward programs? While there are certainly no shortages of tenant reward programs that have popped up over the last few years, the following are a few of our favorites. Killam Perks – Killam Properties operates several student housing locations across Canada which offer a program known as Killam Perks. Tenants receive a perks card which grants them access to discounts and special deals from a huge list of retailers. Our favorite offer at the moment? Save the tax at a fast-growing fresh food chain, Freshii. MoolaPerks – One way or another, tenants have to pay rent; so why not get rewarded for doing it? RentMoola’s MoolaPerks program does just that. This third-party rent payment company allows their users the ability to be rewarded with a slew of discounts, freebies and perks from a plethora of retailers. Our favorite offer at the moment? A free $35 driving credit with Zipcar. 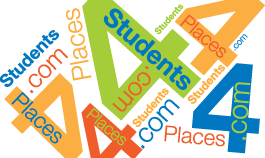 KW4Rent Perks Program – KW4Rent operates an extensive portfolio of student housing in the Kitchener/Waterloo area and has assembled a regional perks program for tenants. Their tenants have access to a range of discounts from local retailers, many of which have products or services that appeal specifically to students. Our favorite offer at the moment? 10% off ice cream at Marble Slab. These reward programs have provided rental communities the ability to give back to their residents and provide some added value to being one of their tenants. Furthermore, these programs have enabled rental communities to develop business relationships with local and national retailers, many of whom are already providing products or services to their tenants. While offering something like free saxophone lessons sounds fascinating, it probably won’t have a major impact on helping lease renewal rates. Apartment communities that do offer these reward programs should consider what type of incentives and rewards will help the end goal of increasing lease renewals. While some critics may dismiss these perk programs as insignificant in the grander scheme of tenant retention, it’s important to at the very least acknowledge their growing popularity. Tenants are deriving value and using these perk programs more frequently, so it’s fair to assume that more rental communities will adopt similar programs in the near future. Reward programs are just one puzzle-piece in tenant satisfaction, but they certainly can help community managers to give back to their residents.